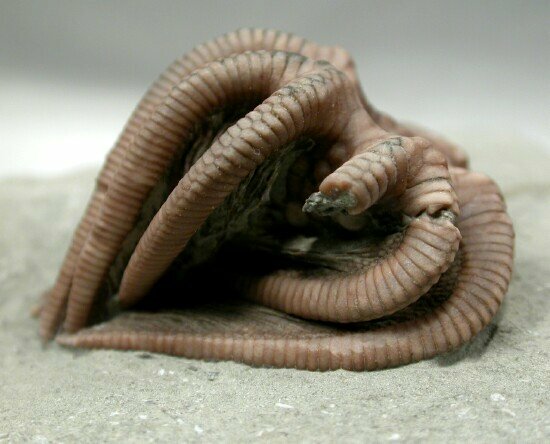 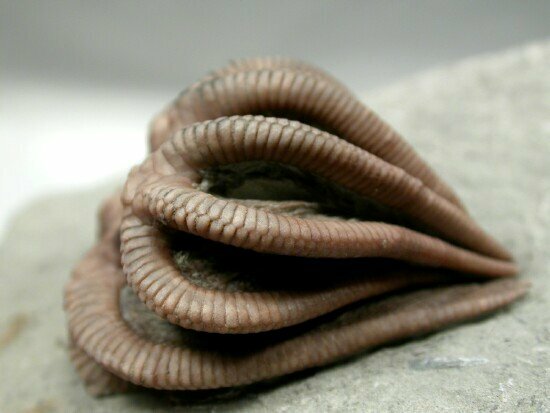 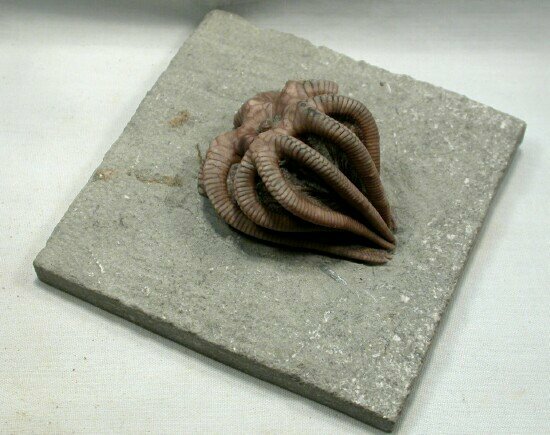 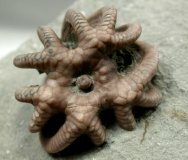 Description: This is a well-preserved example of the Crawfordsville crinoid known as Agaricocrinus americanus of Family Coelocrinidae. 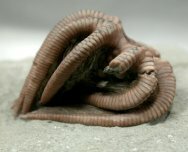 The Agaricocrinus is exceptionally well preserved in remarkeble three-dimensional relief, Also note the fine pinnulation that it needed to filter food from the water column. 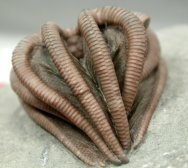 Crinoids disintegrate shortly after death, making fossilization of fine details as seen here a rare event.